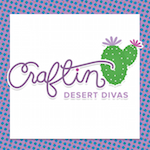 This is your last week to enter your "Button" project in my linky party. Did you see my new blinkie Sarah made for me? It's over there on my right side bar. Just think what she could do on your blinkie if your the winner!!! Here's a super quick tag I created. Tag is from Recollections. I inked the edges in Tim Holtz Tea Dye Distress Ink. Added some Celebrate It Burlap and on top of that I put the little present from Miss Kate Cuttables on a foam 3D square. The papers were from my stash. The pin is from Pinque Peacock, love it! I then stamped Enjoy and added raffia, black faux stitching and TPC Studio Metal Accents, including a button to finish it off. 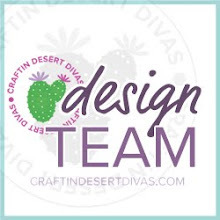 You can link up your Button project HERE!! your tag is so super cute! Love that little button that you used in the middle of the ribbon on the present! Can't wait to find out who wins the Blinkie!! Love your new blinkie! 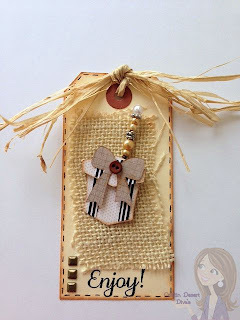 Love the adorable tag and GREAT new blog design!!!! Your tag is Beautiful!! !Your new look is just Too Cute!Your 3 mini divas are precious,god bless them. Such a cute tag. Love teh burlap. Love your new look too. Super cute tag! I love the burlap and raffia on it. Nice touch! Very cute tag. Thanks for joining us at PTT. So pretty! I love the texture...the burlap looks amazing! This is really cute, Tara! Thanks so much for sharing with at The Kraft Journal this week, and please come back by again soon. Tara this is darling and lots of great texture! Thank you for sharing with us at The Kraft Journal!